some of my favourite things: Hweeli is in town with me! The year-end season is finally here and some good friends visited me over the weekend! YAY! It's coming to 3 months (in another week's time!) since I arrived in this foreign land. Time just whisked by and I no longer feel so much like stranger. Having friends plan and come visit me makes, me feel warm and homely. Although I thought the term break of 3 weeks was suppose to buy me time to just sleep, hibernate, basically chill-out without having to face school and do homework - but hey! having fun with the friends whom you have known for ages feels different from having fun with friends you have just met. You basically go - like. crazy. together. Hweeli is here with me for a short 3D2N stay. For the first night - I crashed over in her hotel and the second night, she crashed over at my room! 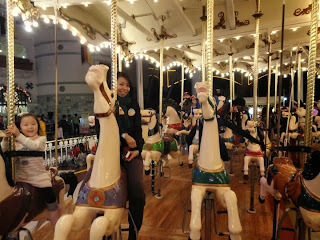 Did I mention, it was LOTTE WORLD HOTEL! Just the perfect place for the thrill-seeker in me. Yup, great shot of me pretending to be held captive. Again, the glorious "V" sign! I don't bother doing photoshop cos... hmm... I'm too lazy. On day 2, I brought Hweeli for a "Korean Perm"
they understand my needs well. So we just went - "I want the latest style of Korean perm" and there you have it. And this is me with my favorite hair-stylist. 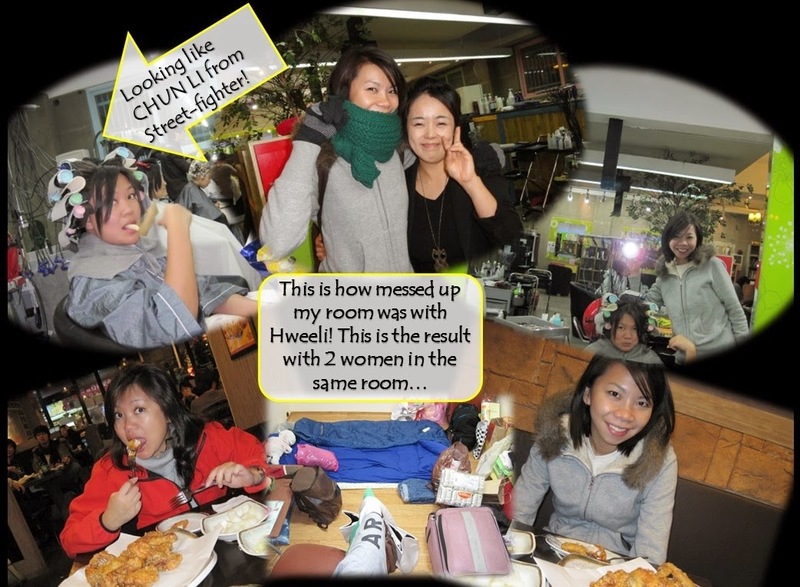 This was how my fully utilized, tiny room looked like when Hweeli stayed over. We basically only had space to walk from the door to the bed. Even the bed was JUST enough for us to sleep in 1 position. But it was really coy to have a pal sharing the room with me. Thanks for flying her and spending these few special days with me, my lovely friend!